Home | Hair Care | What Does Blood Circulation Do For Your Scalp? What Does Blood Circulation Do For Your Scalp? Ever have one of those days when nothing seems to go right? I was trying to boot up my computer the other day at the office and, lo and behold, it wouldn’t start! Nothing I did helped. I finally worked up the courage to call over the office manager, only to find out that the darn thing wasn’t even plugged in. I mean, come on! How does this apply to bodily health? In order to function properly, the computer’s wires need to be connected, and there must be a solid flow of electricity. In relation to the body, the wires represent our veins and the electricity is our blood flow. Blood circulation is the most important function in our bodies to keep us alive and working. Poor circulation throughout the body can cause our limbs to become numb, and even cause brain damage. When it comes to our scalp, insufficient circulation can cause hair loss, something no one wants. This is why there are so many shampoos out there that offer different recipes to help increase blood flow to the scalp. The increased blood flow can then help to prevent premature hair loss and strengthen your hair follicles. The fuel and electricity that makes this all possible is our bloodstream. Our bodies are made up of vast and intricate systems that all work together to allow us to live happy and healthy lives. The fuel that makes this all possible travels in our bloodstream. 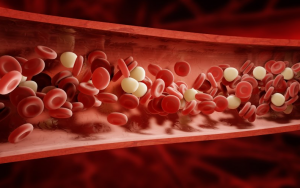 Our blood cells travel through channels in our body that make up the circulatory system. What is the circulatory system, and how does it work? Systemic circulation (blood circulation) utilizes a vast system of arteries and veins to circulate your blood. It all starts in the heart. The heart is the engine that keeps our bodies moving. It distributes oxygenated blood and pumps it throughout our entire body. Deoxygenated blood it is then pumped back into the left ventricle of the heart, and the process starts all over again. This process is happening at every single moment of the day, but we may not always be aware of it. Our bodies work so flawlessly that we don’t even have to think about it! In additional to oxygen, the blood carries other nutrients throughout the body. Along its route through the veins, the blood collects and gathers waste products and carbon dioxide to eventually be released from the body. Scratching their heads, they can’t seem to figure out what the problem is. (1) The blood circulation in your scalp is the furthest away from your heart. (2) The scalp isn’t a consistently active part of our bodies, so there can sometimes be a severe lack of stimulation in this area. What does this mean for you? Insufficient blood circulation prevents the roots of your hair from receiving enough nutrients. 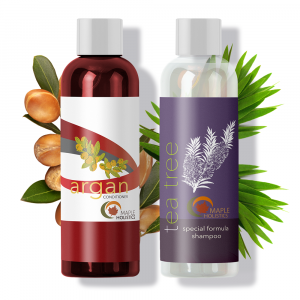 These essential nutrients are responsible for the strength and the life of your hair follicles. In order to maintain a healthy scalp, proper blood circulation is vital. 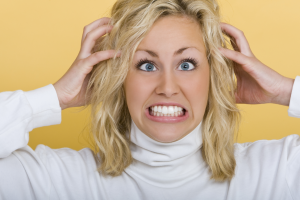 Many people endure scalp problems simply because they don’t have enough blood circulation. Scratching their heads, they can’t seem to figure out what the problem is. It’s not a problem that you can see in the mirror, feel, touch, or analyze, but rather an underlying dilemma that, once recognized, can easily be put back on track. 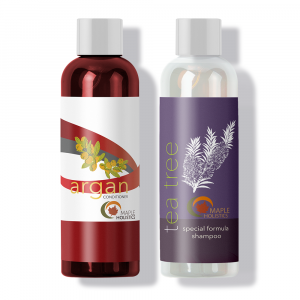 Give your scalp the TLC it needs to improve circulation. 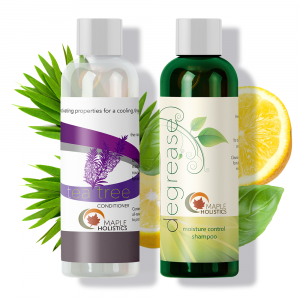 Health-prioritizing shampoo and conditioner products offer ingredients with active compounds to resolve this issue. Often enough, a combination of keratin, fat, and cellular material forms and hardens your scalp to plug your follicles. This process hardens the surrounding tissue, ultimately limiting blood flow to the follicles. A healthcare product which contributes to blood circulation can therefore aid, over time, in repairing this problem. 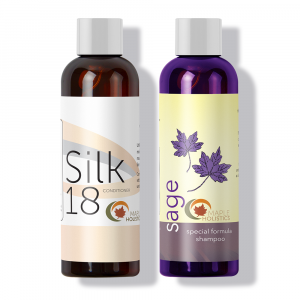 Using natural, holistic shampoo and conditioner is the quickest and most efficient way to give your scalp the best care and treatment possible. In addition to buying holistic hair products, there are a few other DIY ways to stimulate blood circulation in the scalp. Garlic is one fantastic addition to your repertoire to fight poor blood circulation. The high levels of compound allicin found in garlic promote circulation in the scalp and prevent hair loss. The Selenium and vitamin E contained in garlic boost the circulation as well. For a quick home remedy, try boiling 7-8 cloves of crushed garlic with some olive oil, and apply it to your scalp a few times a week. You’ll feel the difference in your scalp. Vitamin E has antioxidant qualities that help combat hair loss and split ends, while increasing blood flow to the scalp. This vitamin helps to get rid of free radicals that can prevent hair growth. Vitamin E occurs naturally in foods such as spinach, avocado, almonds, tofu, sunflower seeds, broccoli, olive oil, and pumpkins. You can also take Vitamin E capsules, which are widely available in a pharmacy or local supermarket. You can also use those old monkey-bar tricks to get the blood flowing to your head fast and direct. Try moving your head below your heart, by lying on your bed and hanging over the side or using a pull-up pole as demonstrated in the image. Carefully bring your head down to the floor (count to ten) and slowly bring it back level to your body. This technique helps maintain healthy blood circulation levels by letting gravity help the upward flow. However, this exercise is not a recommended for those with high blood pressure or unadjusted levels of blood circulation. Scalp massages can really improve or increase the laxity in our scalp. Here are a few exercises that can stimulate the blood circulation in your scalp and allow the hair to naturally obtain more graphs. They are quite simple and can be done very easily over the span of a few minutes. Scalp massages can really improve or increase the laxity in your scalp, so a couple minutes a day is well worth your time! First, let’s begin with a quick massage that works especially well for people who want to increase their hair growth. Place the palms of your hands just above the temples over your ears. Begin by sliding the scalp up and down in a rotating motion and proceed by moving all around the area with this motion. I recommend doing this massage a few times a day for no more than a minute at a time. You can also try using the tips of your fingers to give your scalp a more basic and gentle massage. Feel your fingers digging into the scalp, and really massage skin all over to stimulate the circulation. Scalp massages are a crucial way to get that blood flowing up there, so if you know a therapist or doctor that can recommend more methods, be sure to mention it to them. Otherwise, there are plenty of articles or videos that can teach you the most effective ways to exercise your head of hair! 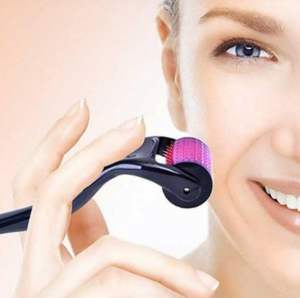 Dermarolling allows healing products to work better. Ever feel like your lotion just sits on top of your skin? Dermarolling is the ideal solution, opening up micro-pathways for a product to penetrate deeper. The tiny needles on this tool open up your skin to let the product absorb to its maximum capacity. In this case, dermarollers can trigger the healing response in your body by stimulating blood circulation. Hair loss results from follicle blockage and stagnation. Using microneedling to stimulate blood flow, protein production, and access to nutrients will yield new hair growth. As you stimulate your natural cycles to bring healing powers to your scalp, dermarolling will also pave the way for products to yield maximal results. Penetrating the scalp with microneedles will open pathways for health products to make a deep impact. Next up, learn about Nexxus, Apricot Kernel Oil, and Hair Tonic to learn about the best care you can give your hair! Your heart works hard, pumping nonstop, all day all night. Sometimes the blood doesn’t quite make it. Lend your circulatory system a helping hand by stimulating the blood flow in and out of your scalp. 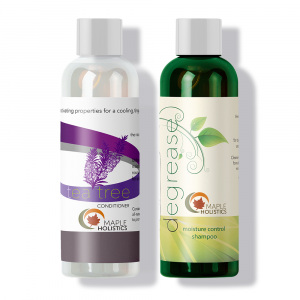 Keep things moving to prevent stagnation and to encourage healthy hair growth. The ball is in your court. 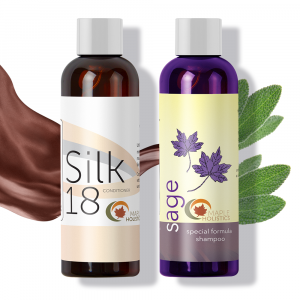 Check out the natural products that can stimulate circulation and be your hair follicles’ friends. It’s in your hands…literally! Massaging, dermarolling, applying pressure and applying helpful products will all augment scalp health to get the healthiest head of hair possible. Hang upside to let gravity do its trick…and hang loose!